They're taking legal action against the Rialto Police Department. Three black Airbnb guests are planning to take legal action against the Rialto Police Department in California after police responded to a 911 caller who wrongly reported a burglary at the location of their Airbnb stay. A neighbor of the Airbnb reported a burglary to police, and she claimed she saw four unfamiliar people loading luggage into a vehicle in the driveway across the street. The police dispatched six officers and a patrol helicopter, securing the perimeter while the people in question drove away. After making contact with the occupants of the vehicle, officers determined they were, in fact, Airbnb guests by contacting the homeowner. The four Airbnb guests who were detained by police were then released without incident and the April 30 encounter, according to police, lasted for a total of 22 minutes. While responding to the call, officers state they refrained from using any form of restraints and allowed the people involved to exit the vehicle while attempting to contact the Airbnb owner. This was the first time this particular home was rented out on Airbnb, Lt. Dean Hardin of the Rialto Police Department told ABC News. 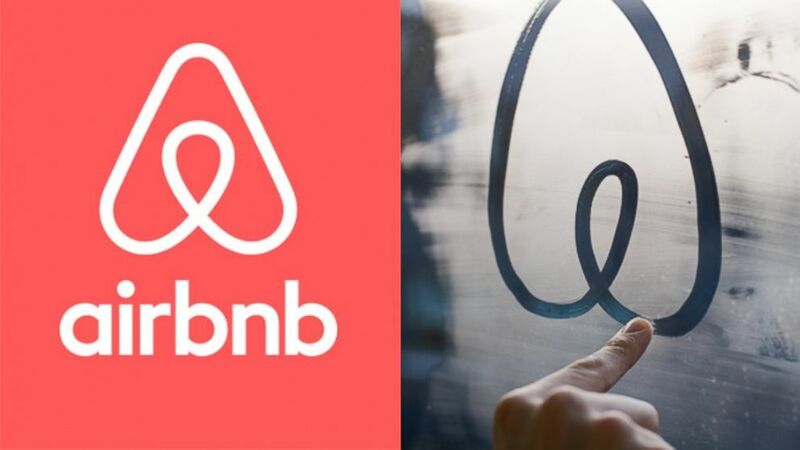 (Airbnb) Airbnb recently redesigned their logo. Fyffe-Marshall disputed the police statement, saying they were detained for 45 minutes and were surrounded by seven police cars. She went on to claim in the post that officers demanded they put their hands up, locked down the neighborhood and accused them of lying about staying in the Airbnb. Jasmine Rand, one of the lawyers representing the three renters who plan to sue, told ABC News that a lawsuit has not yet been filed but that legal action against the police department is imminent. Rand wouldn't elaborate on the details of the legal actions they're planning to take at this point. Rand confirmed that the three people involved in the lawsuit are black, including two females and one male. “You want to laugh about this but it’s not funny. The trauma is real. I’ve been angry, frustrated and sad,” Fyffe-Marshall wrote in her Facebook post about the incident. She could not be reached for further comments on the case. Fyffe-Marshall along with Donisha Prendergast and Komi-Oluwa Olafimihan are the three individuals from the incident who will be involved in the forthcoming litigation. Hardin cannot confirm if the individuals were targeted based on their race because he “can’t get into the reporting party’s head,” but he did confirm with ABC News that the call was made from a white woman who did not recognize the people in the driveway across the street. In regards to the conflicting timeline provided by Fyffe-Marshall, Hardin explained that the times provided in the department’s statement are based on their computerized dispatch system where all times are logged. The dispatch of the patrol helicopter and securing a perimeter is standard procedure for any in-progress felony, Hardin told ABC News. The four people in question were cooperative throughout the encounter, Hardin said. The department is preparing for legal action by preserving all evidence of the call, including the recordings from the responding officers' body cameras. An Airbnb spokesperson told ABC News in a statement that what happened “is unconscionable and a reminder of how far we still have to go as a society,” and believes that this was an issue with a neighbor who's not a member of the Airbnb community. In a letter to Rialto’s mayor and interim police chief, Airbnb’s senior advisor and director of national partnerships state that they're "deeply disturbed by the public reports suggesting that the police department’s response was dictated by the guests' race," and called for a meeting to "ensure that these kinds of incidents do not happen again." Airbnb has also reached out to the victims to express their sympathy and full support, the statement said. This all comes at a time of heightened tensions between minority communities and law enforcement agencies across America. Just last month the arrest of two black men at a Philadelphia Starbucks sparked a firestorm after they were accused of trespassing because they had not purchased anything. Rand will be co-counseling the case with Benjamin Crump, a civil rights attorney known for his work representing Trayvon Martin’s family and most recently the family of Stephon Clark.